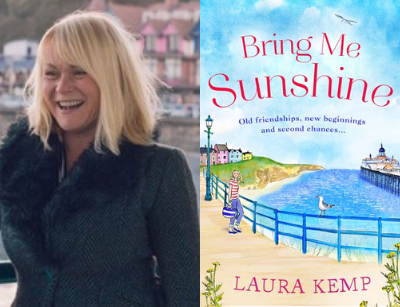 Local author, Laura Kemp, will be joining us to chat about and celebrate her new book, Bring Me Sunshine. Author of the consistently popular 2017 novel, The Year of Surprising Acts of Kindness, Laura has returned to the seaside of Wales in her new story about happiness and getting a fresh start in life. Thrust into the limelight, she must find her voice and a way to cope. And soon she realises that she's not the only person who finds life hard - out there her listeners are lonely too. And her show is the one keeping them going. Can Charlotte seize the day and make the most of her new home? And will she be able to breathe new life into the tiny radio station too...?